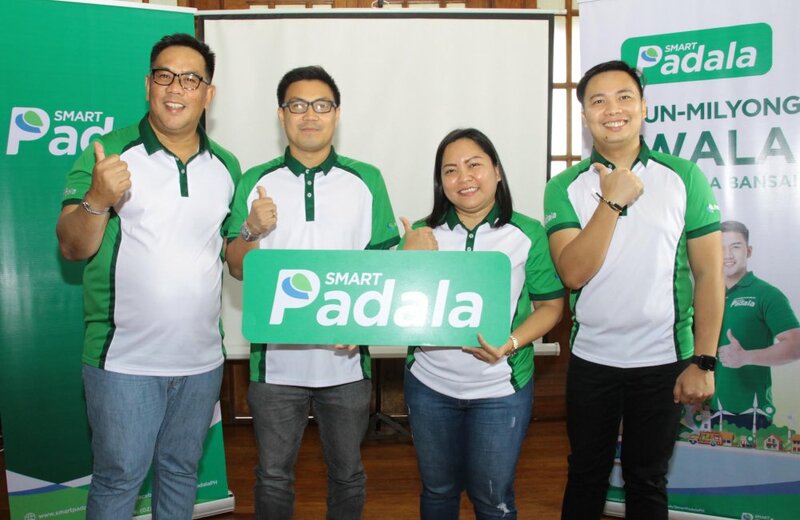 Customers of Smart Padala in Cebu can expect to avail of new and exciting services beyond remittance from Smart Padala agents in the region soon–including bills payment, digital goods, loans disbursement, and QR payments–as the service empowers its more than 26,000 partner agents across the country with these new services. Present during the launch of the "Milyun-Milyong Tiwala" campaign signifying the millions of transactions done via Smart Padala include (from left) Butch Conejos, Head of Channel Development for Smart Padala; Vincent Paul Davila, Regional Business Lead for the Visayas at Smart Padala; Christina Perales, Area Business Lead for Central Visayas at Smart Padala; and JC de Vera, Trade Marketing Lead for Smart Padala. With the majority of Smart Padala’s 26,000 centers nationwide being sari-sari stores, the service is able to reach even far-flung communities and barangays located outside the usual city centers–enabling convenience of financial transactions for the majority of Filipinos around the country. Smart Padala is the country's leading mobile remittance service under the PayMaya Philippines, the digital financial services arm of Voyager Innovations backed by KKR, Tencent, and PLDT. To know more about Smart Padala or to sign up as an agent, visit [URL="http://www.smartpadala.ph/"]www.smartpadala.ph or follow @SmartPadalaPH on Facebook.